Hi,i have used the force control urcap to program the trail like the file shown. But when the program run the second time,it occured the error like the picture shown.Is this my program's problem ?How can i solve this problem. 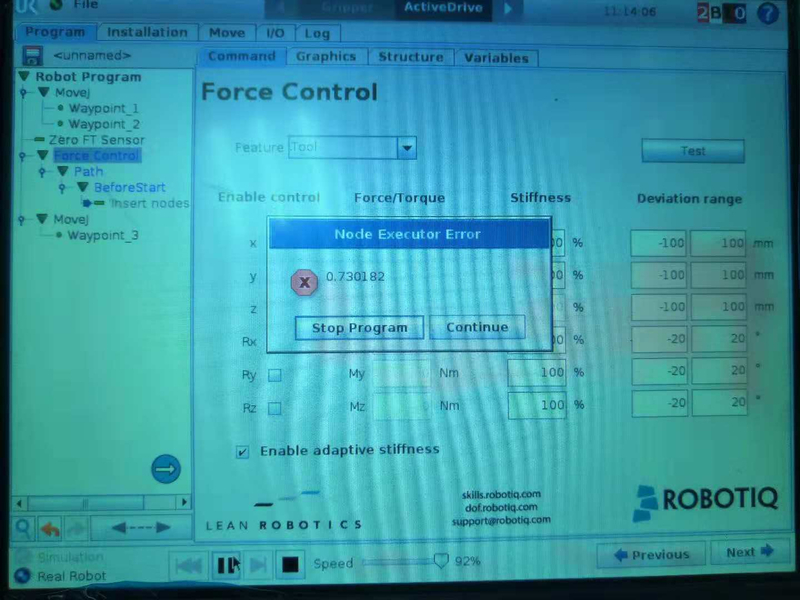 Hello @xuwei, Robotiq just released the new version of Force Copilot (1.7.1). 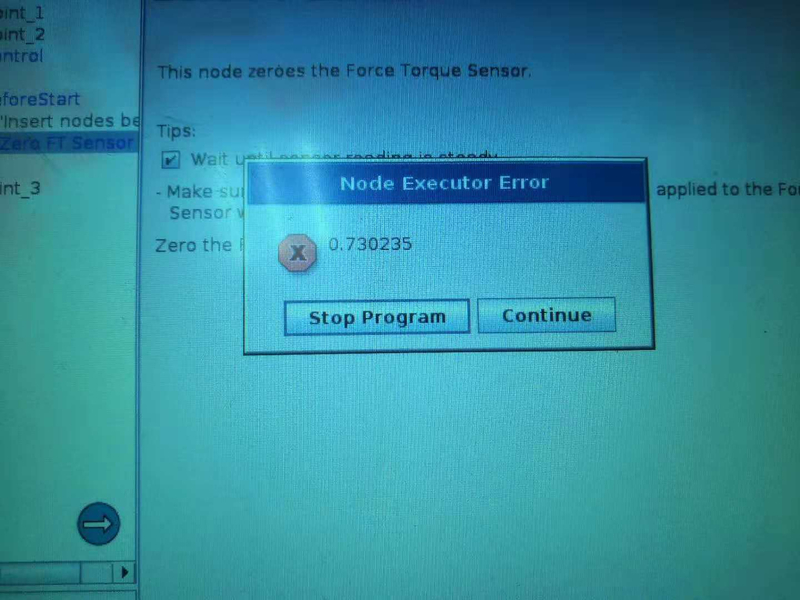 It fixes most of the Node Executor errors. Please let us know if the error still occurs after the update.